We’ve all been warned about the impediment social media can have on your job search. ‘Avoid oversharing’, ‘clean up your profile’, or ‘just delete everything until you’ve been hired’, we’ve heard it all. But what often goes unsaid are the ways in which social media can positively impact your job hunt. 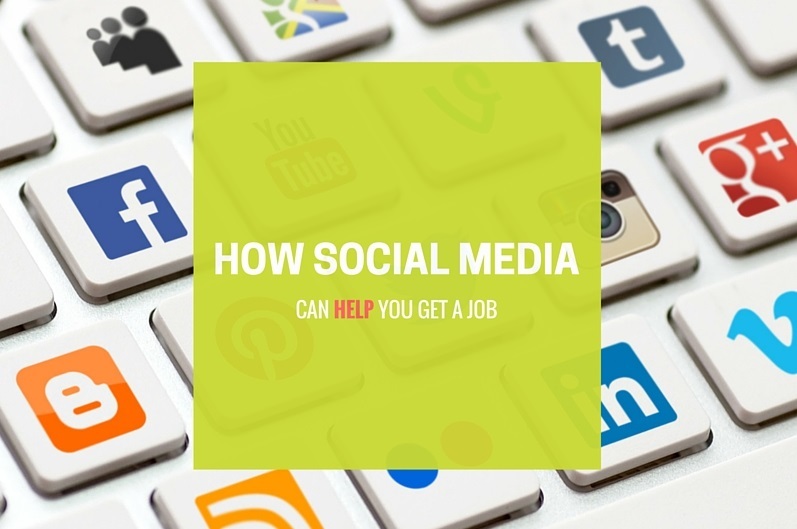 So on that note, here are three ways social media can help your job hunt. Networking- This seems somewhat intuitive as they are called social networks after all and at the foundation of every job is a network of people who can help you get there. Even beyond your friends, look into mutual acquaintances. There is a reason why LinkedIn’s Connection feature is so popular. LinkedIn is perhaps the most shameless of all the social networks in your tool kit. Everyone is on it to promote either themselves or their company and many people don’t mind meeting for lunch or coffee. While you might be the one on the job hunt now, most people are aware of how quickly they could be on the other side of the equation so it ends up being mutually beneficial. Bonus tip: Often times companies will offer incentives for employees to refer new hires. And typically when those internal jobs open up, folks aren’t shy about reaching out to their network. A coffee meeting today could lead to a job opportunity 6 months down the year. Staying Relevant- While we might recommend thinking twice on certain topics before hitting the share or post button, we whole hearted support using that feature to share your passion for a role or industry! This is a great way to demonstrate an active and engaged interest. That way when a potential employer comes across your profile, they’ll be so distracted by that thoughtful article you shared, they might even miss those spring break photos (well, maybe not that distracted so on second thought, stick with untagging them). Finding Roles- Be sure to follow or like companies you’re interested in on all platforms, beyond just LinkedIn. Facebook and Twitter have now taken on their own lifeform as hiring pipelines. Many companies even have separate accounts simply for dispersing information regarding internal roles or company culture. Even if they don’t have accounts dedicated to hiring, then their traditional accounts are a great source for open jobs or company news/accolades. Have a connection at a company? Don’t be afraid to reach out if an article pops up in your news feed about their latest award or that they’re sponsoring a conference you’re attending.